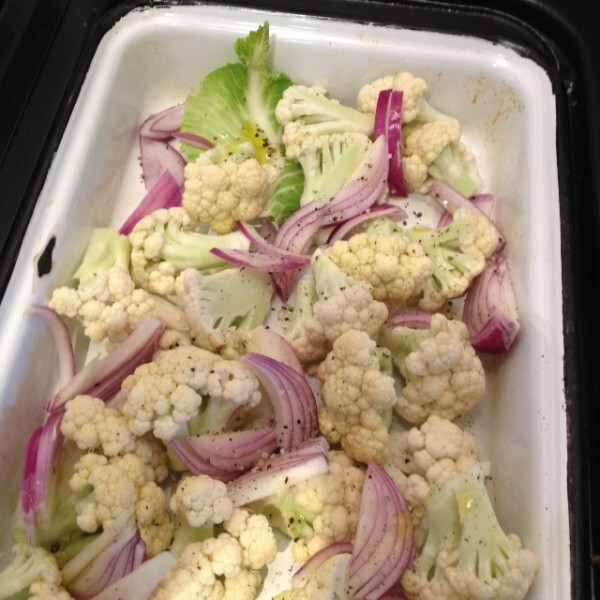 Heat the oven to 190C/fan 170C/Gas 5.Spread the cauliflower florets and red onion in a shallow baking dish. Drizzle over 2 tbsp of the oil, a good sprinkling of salt and pepper and toss everything together. Roast for 20-25 mins, shakking halfway through until the cauliflower is just tender but not too soft. Tip the lentils into a large pan and cover with plenty of cold water(no salt) Bring to the boil, then reduce the heat and simmer for 10 mins. Add the farro and more water from the kettle if necessary and continue to simmer for a 10 mins until both the lentils and farro are just tender but still with a bit of bite. Drain well. 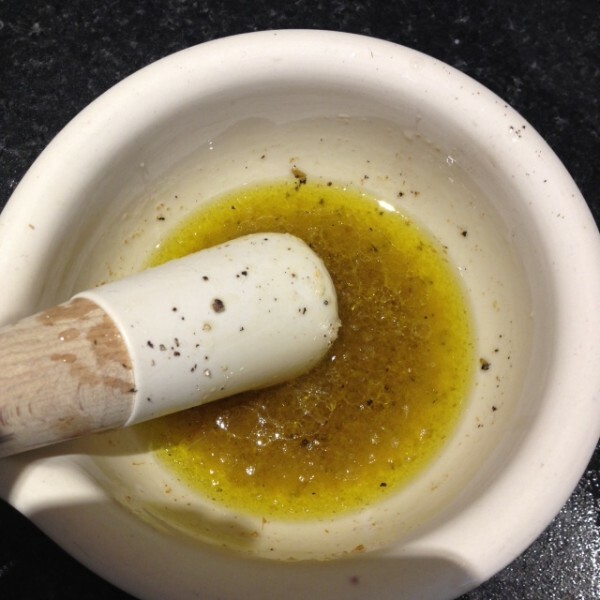 Toast the cumin seeds in a small dry pan until they start to release their fragrance, then grind in a pestle and mortar. Add the juice of the lemon, the honey, salt and pepper. Add the remaining 3 tbsp of the oil and mix well. 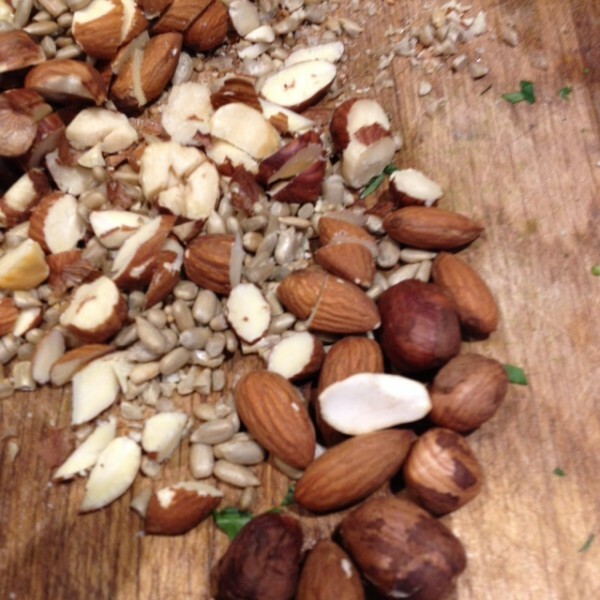 Toast the nuts and sunflower seeds in the same pan you used for the cumin seeds until they just start to catch a bit of colour. Tip onto a chopping board and roughly chop. 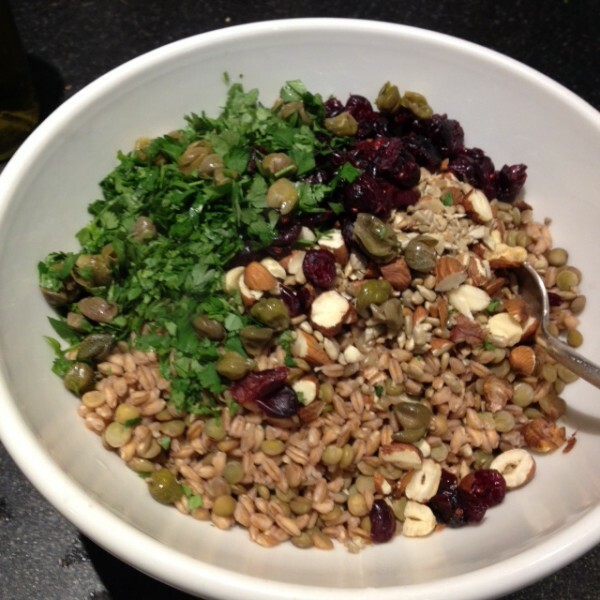 Tip the lentils and farro into a large bowl and add the nuts and seeds, cranberries, capers , half the herbs and half the dressing. Mix well. Fold in the warm cauliflower and onion along with any pan juices and fold everything together well. Taste and add more seasoning if necessary. Divide between 4 dished plates and drizzle over the remaining dressing. 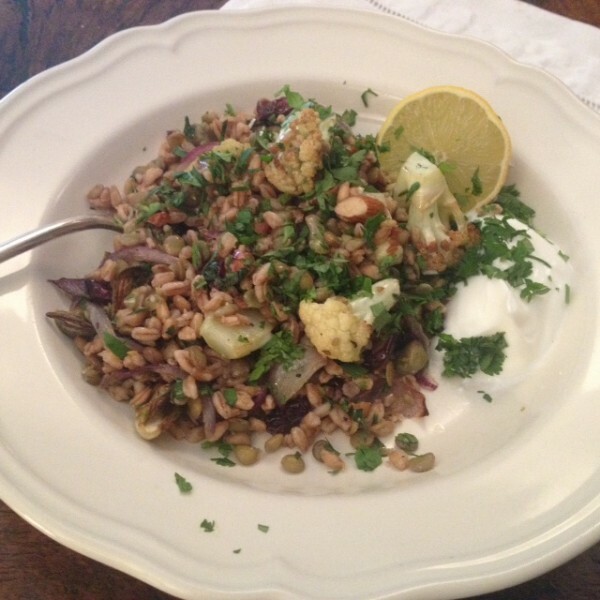 Add a lemon wedge and dollop of yogurt on the side and scatter with the remaining herbs. Serve warm or cold. 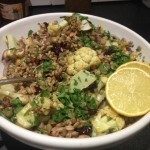 This entry was posted in veggie and tagged cauliflower, clean, cranberries, farro, healthy, vegan, veggie on 18th January 2016 by marycadogan.